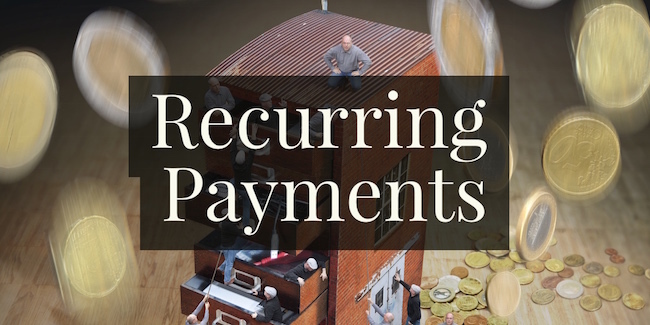 Recurring payments is one of the best ways to maintain a steady stream of revenue. However, the average person is quite reluctant to opt into recurring payment cycles. That being said, it’s imperative that you create a billing cycle that not only attracts new customers but also retains your current ones. Here are some ways to optimize recurring payments and keep your cash flow positive. Basic vs. Enterprise: Typically businesses separate their pricing into two categories. One for basic usage, typically for individuals and small businesses. The second, is an enterprise package that serves large scale businesses that require custom solutions. Often times the enterprise package requires users to submit a quote for pricing. What’s popular: If you have more than one pricing option, let your customers know which is the most popular. Typically, if a company offers three pricing tiers, the middle option is highlighted as most popular. This can also be used as a marketing strategy to attract customers to a higher/more expensive tier. Only provide relevant information: When listing features and benefits of each tier you need to keep it short and sweet. There’s no need for any “fluff” or marketing here. Your customers want to know what value their getting for their money. Cancellation: While it’s not the most ideal outcome, you need to be crystal clear about how to cancel a subscription. This will make or break a customers decision when signing up for your service. If they are well aware of their ability to cancel their subscription, they are much more likely to give your service a shot. As long as your product delivers great value, odds are the customer will stick around. Fees: Be transparent about all fees and all situations that may incur a fee. Billing Cycle: Be clear on when the subscription bills and which name is listed on the statement. Contact: Let your customers know who to contact for questions or concerns regarding payments. You need to make it easy on your customers. There are plenty of services out there that offer recurring payment solutions, however there are only a few that optimize the experience. Payments that can be completed by an eCheck or online offer the best payment experience. Other popular options like mobile and digital wallets serve as great solutions as well. These solutions provide automatic withdrawals and reporting that remove the headache for both the customer and business. If you aren’t offering some form of a free trial or demo, you better make one. Very few people are willing to opt into a subscription without testing out the product. By offering a free trial, you are removing a huge barrier of entry allowing for exponentially more traffic. At the end of the trial, make sure you have an immediate call to action that allows the user to easily sign-up for your service. Recurring payments and subscription based business models are a great way to maintain steady cash flow. If you’re having trouble retaining and attracting new customers, use these tips to improve your recurring billing cycle.